Aromatic eastern spices and Hellmann's® Real Mayo set these juicy burgers apart from the rest. Note: The African hot sauce Harissa can vary in the intensity of its heat. Start with a lesser amount and increase as desired. Combine ground beef, green bell pepper, salt, onions, cumin and cardamom; mix well. Form into 10 patties and grill or broil until desired doneness. 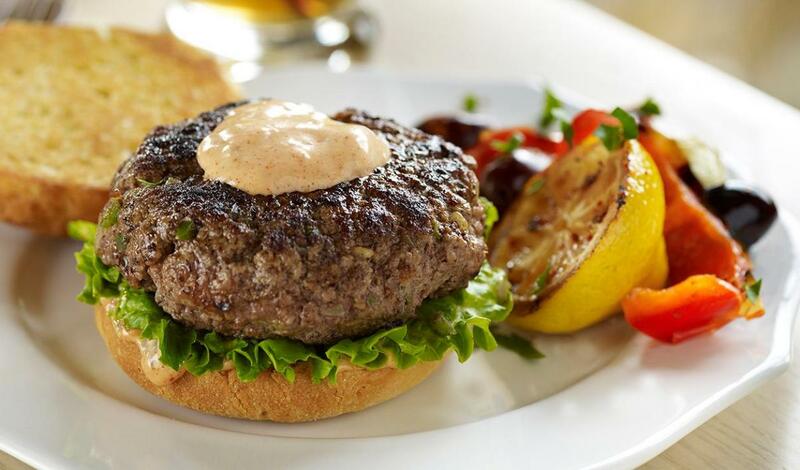 Spread cut sides of bun with prepared Harissa Mayonnaise and build burger.